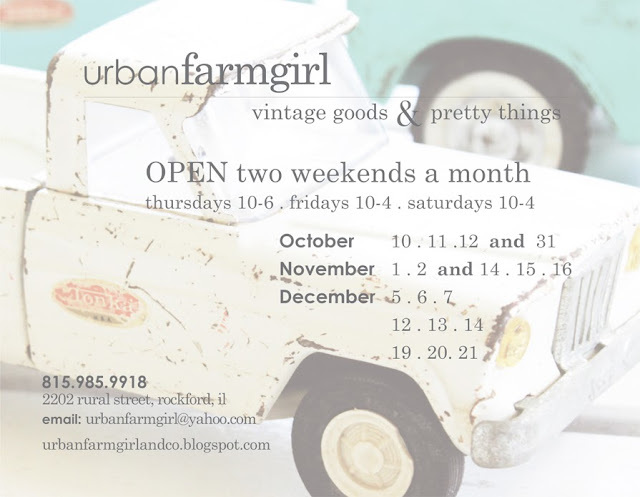 urban farmgirl: Fall & Winter SHOP OPEN DATES! Fall & Winter SHOP OPEN DATES! Just a quick note to announce our open dates for the shop through the rest of 2013! We had such a huge response last year to be open more during the Holiday season - so this year we will be open EVERY WEEKEND until Christmas in the month of December! You can always find updates and photo previews of shop goodies before each opening on Facebook!